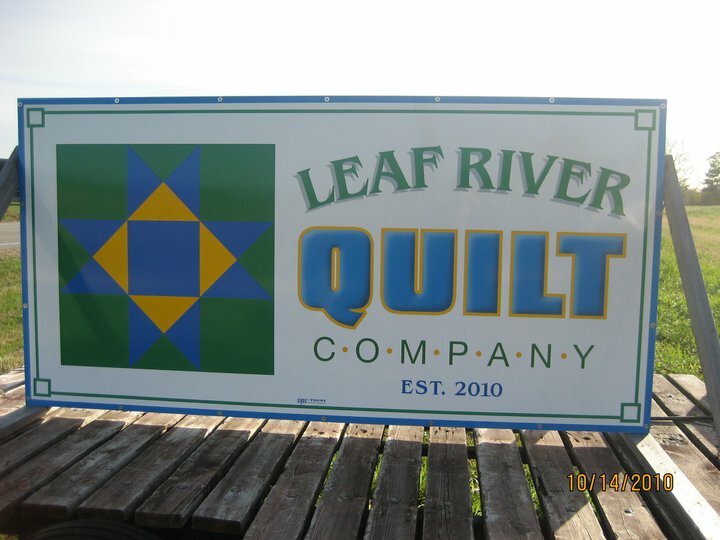 Welcome to Leaf River Quilt Company! Leaf River Quilt Company is all quilting, all the time. A stop at our quilt shop is well worth the easy country drive down IL Route 72. We carry fabrics with a spectrum of style, ranging from classic to contemporary. The majority of our goods come from great companies like Moda and Hoffman. You will undoubtedly be inspired by the vibrant color choices on the floor. Whether you prefer to mix and match your fabrics or pick up a neat bundle of fat quarters, Karen is there is assist you with any of your selection needs. Customers are also welcome to sign up for any classes offered at LRQC. Please see our Classes page for a complete listing. The atmosphere in our shop is both positive and relaxing. The experience of creating a quilt should be enjoyable from start to finish, so remember to always... sew with the flow. I WILL BE CLOSED ON FRIDAY APRIL 19th! !